VICTORIA, BC – When Travis Butler, General Manager of Butler Brothers Supplies, Ltd., sets his mind on finding a solution to a problem, he doesn’t stop until the solution is set in stone. Or in this case, in concrete. Travis Butler, General Manager at Butler Brothers, and Rob Niven, CEO and Founder of CarbonCure Technologies. In June of 2017, Butler Brothers installed the CarbonCure Technology at two of its ready mix concrete plants located at Bay Street and Keating. 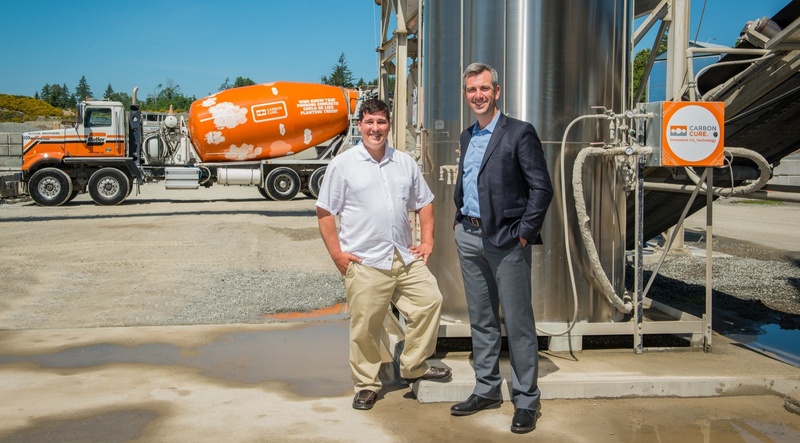 In January of this year, Butler Brothers installed the technology at a third ready mix plant located in Sooke. The CarbonCure Technology helps concrete producers address their carbon footprint challenge. Cement, a critical ingredient required in the production of concrete, creates 7% of the world’s carbon dioxide (CO2) greenhouse gas emissions. In less than a year of working together, Butler Brothers and CarbonCure have together saved over 500 tonnes of CO2; equivalent to the amount of CO2 sequestered by 590 acres of forestland in a year. The CarbonCure Technology recycles CO2 sourced from industrial emitters into concrete in order to improve its compressive strength and optimize the manufacturing process. This allows Butler Brothers to provide the same high-quality concrete that contractors and engineers expect, but with a reduced environmental impact, and with no impact on price. "Sustainability has become a critical component of today's building designs," says Terry Bergen, Managing Principal at RJC Engineers in Victoria. "As engineers, we have a responsibility to reduce the environmental impact of our projects. Butler Brothers and CarbonCure allow us to do that, while consistently maintaining our highest standards for quality design." 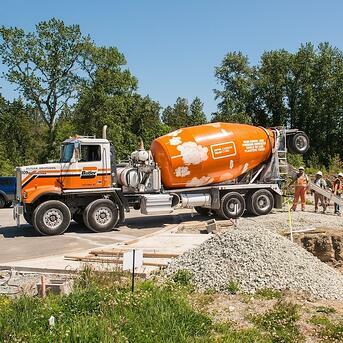 Butler Bros. delivers concrete made with the CarbonCure Technology to construction projects across Victoria, BC. lop economically beneficial solutions for carbon utilization. Concrete made with the CarbonCure Technology is available in over 90 locations across Canada and the U.S., including Vancouver Island. About Butler Brothers Supply, Ltd.
Butler Brothers has been serving the South Vancouver Island area with quality aggregate and ready mix concrete since the early 1940's. As a family business, Butler Brothers is dedicated to the local community and committed to preserving the environment. With extensive quality control on both concrete and aggregates, Butler Brothers has maintained a reputation for providing consistent high quality product for its customers. CarbonCure is the world leader in CO2 utilization technologies for the cement and concrete sector. Its retrofit technology chemically mineralizes waste carbon dioxide during the concrete manufacturing process to make greener and stronger concrete. The CarbonCure Technology is being used by nearly 100 concrete producers today to reduce concrete’s carbon footprint, create new production cost savings and gain a competitive sales advantage. Concrete plants are retrofitted in a single day and require no CAPEX or changes to their materials and production practices. For more information, contact info@carboncure.com or visit carboncure.com.